The swim club’s anniversary will be celebrated at a special party on Saturday night. This week, a couple members shared the history of the club and their favorite memories. 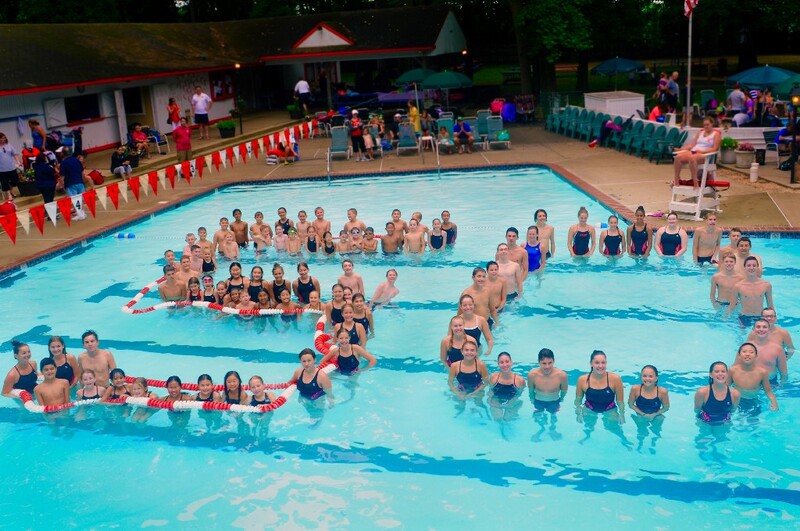 Swimmers from Old Orchard Swim Club form the number “50” in the pool to celebrate the swim club’s 50th anniversary. The Old Orchard neighborhood in Cherry Hill was constructed in the mid-1960s. As the development was built, the developer donated a plot of open land on Evans Lane. Two years later, the plot of land became home to Old Orchard Swim Club. 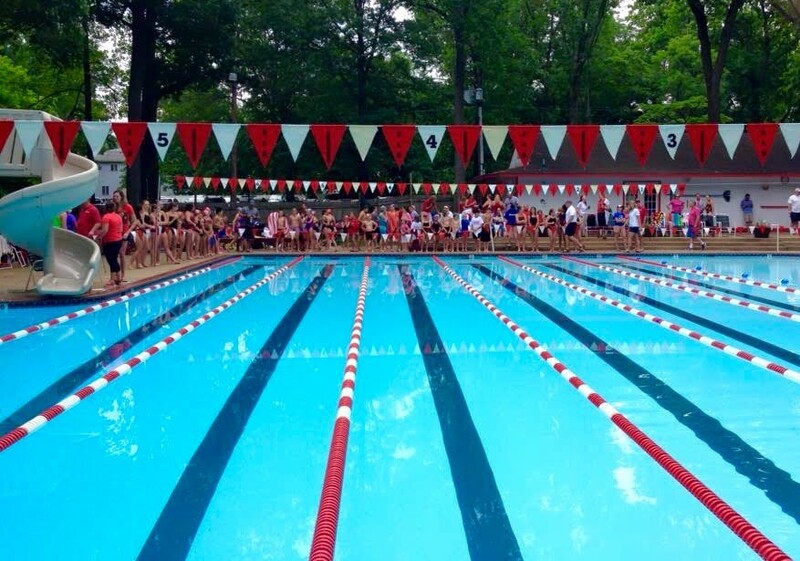 On Saturday, the swim club will celebrate its 50th anniversary with a party at the club. Thousands of people have passed through Old Orchard’s gates since its 1966 opening. Many things have changed, but some things have stayed the same. There are a few Old Orchard Swim Club members today who remember how the club got started in 1966. Bob Rueppel, a long-time member who joined the club in the fall of 1966 shortly after the club’s opening on July 4, recalls the fundraising effort necessary to get the club started. In the mid-1960s, John Dell’Aquila chaired a committee who conducted a campaign selling charter membership bonds to Old Orchard’s residents in order to pay for the pool. 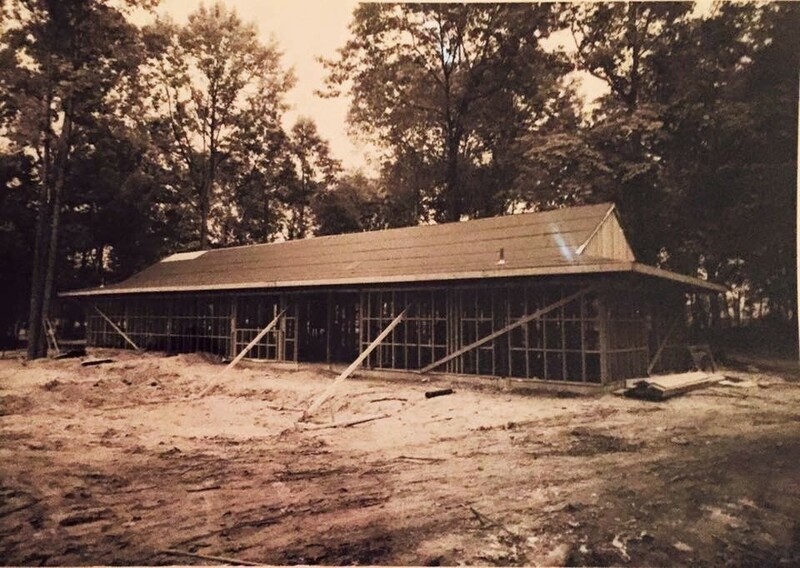 The Old Orchard Swim Club under construction in the mid-1960s. The facility was completed in time to open on July 4, 1966. The facility included two pools, a clubhouse, picnic area and open space for other activities. The year following Old Orchard’s opening, a group of members got together to form a swim team at the club. Bob Rueppel was instrumental in forming the team along with Don and Myra Frank and Joan Elliott. Old Orchard’s swim team, nicknamed the Otters, competed in its first season in 1967. However, the club was unable to compete in the Tri-County Swimming Pool Association, as it had to wait one year. For the team’s inaugural season, it instead formed the Tri-Pool League with another recently formed team in Cherry Hill, Erlton Swim Club and Pheasant Run Swim Club in Cinnaminson. Those two clubs were also on TCSPA’s waiting list. Old Orchard would compete in Cherry Bowl for the first time in 1968. 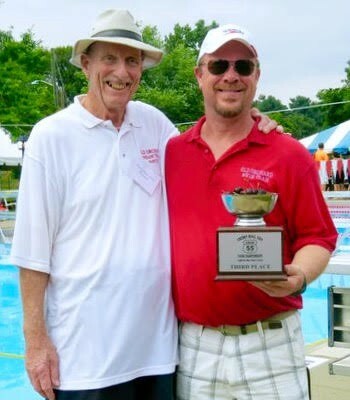 Seven years later, the Otters would win the first of 20 Cherry Bowl championships, more than any other swim club in the competition’s history. The Otters would win 14 of 15 Cherry Bowls from 1975 to 1989, with 1977 being the lone year in that stretch they didn’t finish in first place. Old Orchard also won five straight Cherry Bowls from 1993 to 1997. The club also holds an annual mini-meet for kids 9 years old and younger. Though the meet is named after Rueppel, he said he was not the man behind the meet. He credited former coach Steve Van Derhoff with getting the meet started. The meet includes 61 events and includes “kick board” races for the youngest participants. Young swimmers from swim clubs all across South Jersey converge on Old Orchard each July for the meet. Rueppel said Van Derhoff kept a close eye on the youngest swimmers during Old Orchard’s early years. Once kids passed their swimming certification, Van Derhoff would immediately invite them to join the team. One theme resonating with many long-time members of the club is how their kids returned to the club after becoming adults. Rick Naumann, a member of the club for more than 20 years, said both of his daughters are members of the swim club today and his grandchildren swim for the Otters. Naumann has not been a member for about eight or nine years, yet he still visits the swim club to see his grandchildren swim. “They’re dragging me back in,” Naumann joked. Naumann and Rueppel consider Old Orchard Swim Club to be a great place for kids to spend their summer. Rueppel recalled years ago prior to the opening of Wexford Leas Swim Club in 1969, kids from that neighborhood would come to Old Orchard and get to socialize with kids who they didn’t go to school with. Naumann felt Old Orchard was a safe and friendly place for his daughters to spend their summer vacation. Naumann believes many family members return because of the solid social programs at Old Orchard. Many of the family activities the club had in the 1980s are still there today. Rueppel said he has also seen kids who formerly spent their summers at the club move back to Cherry Hill as adults and become members. While Old Orchard Swim Club has remained a family-friendly place to spend a hot summer day for 50 years, it is facing the same challenging climate as other swim clubs across South Jersey are. Rueppel said there was once a time in Old Orchard’s early years where families would have to wait to join the club. 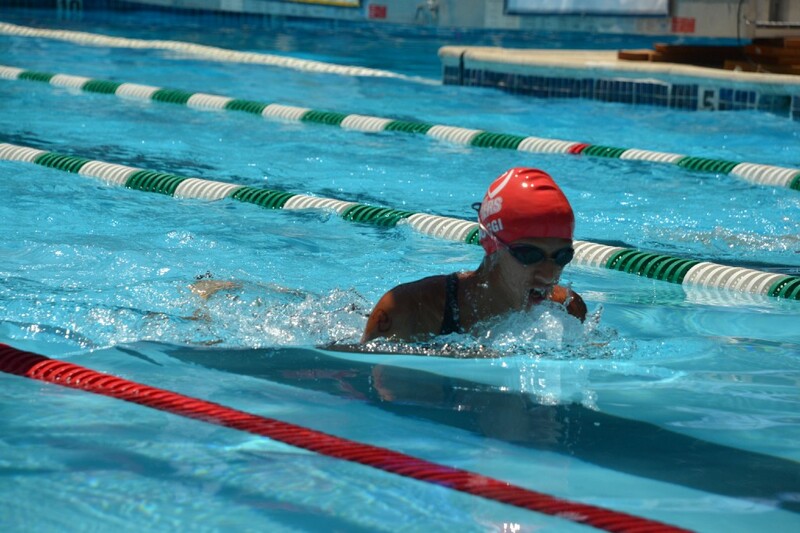 Hemma Boggi competes for Old Orchard Swim Club in the 2015 Cherry Bowl. Today, Rueppel estimates membership is only around 150 families. The decline in membership has not only been felt at Old Orchard, but also at swim clubs all around South Jersey. Rueppel believes the way Old Orchard can sustain itself for years into the future by continuing to promote the swim club to new residents and encouraging the kids of old members to join when they get older. Retaining a tight-knit neighborhood in Old Orchard is key.